For this round of WIME, we have highlighted some social and cultural stories to remind readers that the Middle East is not just home to conflict and enmity. Even so, like life everywhere, sports, art, housing and music (and everything else!) are influenced and must be contextualized by politics, economics, race, gender, religion, history and class. See some of the examples in this following stories. First, from Saudi Arabia, came a surprising addition to Crown Prince Mohammed bin Salman’s efforts to transform the kingdom’s image, economy and society, after an announcement that non-combat roles will be opening up for women in the military. The initiative to engage women in security roles allows for the country to move in a direction toward equal opportunity for women in the workplace. The roles do not appear to involve combat. A list of 12 requirements says hopefuls must be Saudi citizens, aged between 25 and 35, and have a high-school diploma. Allowing for women to join the military represents continued progress towards a more inclusive Saudi society. A participant in the weekend’s all-female 3k race, a first for Saudi Arabia. Credit: Alarabiyya. Indeed, much publicity has been given to the expanding list of opportunities being made available to Saudi women. They participated for the first time in an all-female “marathon” on Saturday morning. 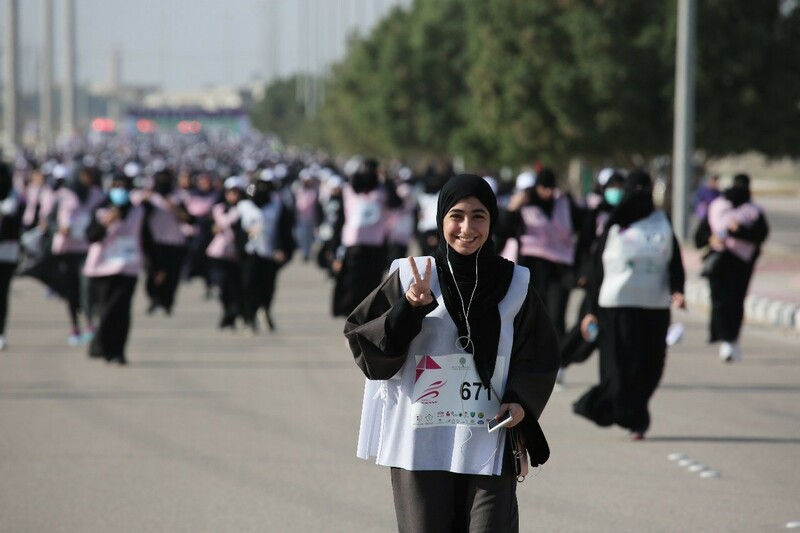 The 3km marathon, al-Ahsa Runs, welcomed 1,500 girls from across kingdom. A 28-year-old graphic designer, Mizna al-Nassar, won first place, completing the race in 15 minutes. She said she had always been supported by her family to pursue sports since she began competing in 2014. She hopes to represent the country in the Tokyo 2020 Olympic games. The goals of the event were to advance running as a sport, spread sports knowledge among the community and encourage a healthier life style. Also over the weekend, the Ministry of Labor and Social Development and Human Resources Development announced that it will develop 233 child-care centers to help support women working in the private sector. The Supreme Leader of Iran supported and praised a wrestler for recently throwing a match against an Israeli opponent resulting in a six month ban for the wrestler from the international wrestling arena. The tradition of prohibiting competition against Israeli opponents, enforced by authorities, has resulted in the regular forfeit of matches. The head of the Iranian Wrestling Federation resigned after criticising authorities for letting players be punished because of the country’s ban on athletes competing against Israel. Iran does not recognize Israel as a state. The former head of the federation explains that political agendas don’t belong in sports and called for authorities to seek a “fundamental solution” to solve this recurring problem. On Tuesday, Egyptian singer Sherine Abdel Wahab was sentenced to six months in prison for joking about the cleanliness of the River Nile. Earlier, the Egyptian Musicians Union said Mrs Abdel Wahab, 37, had been banned from performing in Egypt, saying the comment was an “unjustified ridicule and mockery of our dear Egypt”. She had been filmed warning a concert-goer against drinking water from the river, claiming he risked catching schistosomiasis – an acute and chronic disease caused by a parasitic worm that lives in fresh water. She joked he should “drink Evian” mineral water instead. The fan had asked her to sing one her hit songs, “Mashrebtesh Men Nilha” (link to music video), which loosely translates as, “Have You Drunk From The Nile?” Sherine is one of the country’s most famous singers and a judge on the Arabic version of The Voice. Also on Tuesday, at the first Arab Land Conference, held in Dubai, experts shared that Syrians are likely to file more than 2 million lawsuits seeking restitution for lost and damaged property. Participants urged that solutions to this underreported facet of the war should be explored even while the fighting is still ongoing as the process of property reimbursement and reclamation will likely be a time-consuming and costly one. Few Syrians know when or whether they will be able to return and reclaim their property, much of which was not registered before the war began. “The main issue is the destruction and damage to property, but a lack of documents and uncertainty over home ownership are also creating huge challenges,” said Laura Cunial, a legal and housing expert at the Norwegian Refugee Council (NRC). The war has destroyed many Syrian land registries, while a large proportion of displaced people have lost their ownership documents or lacked them in the first place, Cunial said. Syria had started to digitize land records just before the conflict began, leaving a huge documentation gap and complicating efforts to evict illegal tenants from properties. In addition, nearly half of Syrian refugees surveyed by the NRC and the United Nations refugee agency (UNHCR) said that their home had been destroyed or damaged beyond repair by the war; just 9 percent had their property title deeds with them and in good condition. Resolving property ownership will be just one of many steps needed for a peaceful future. 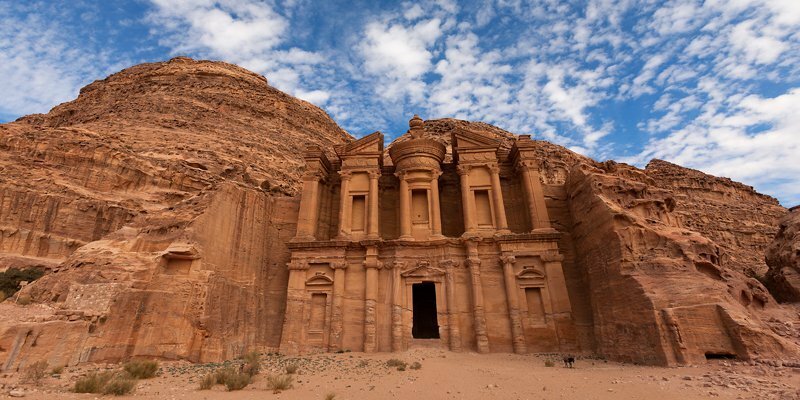 The ancient Nabataean city of Petra will be featured in an Arabic young adult fantasy adventure series from Netflix. Netflix announced that it will be producing its first original Arabic language series. Filmed in Jordan, Jinn will be a six-episode fantasy adventure series helmed by a local cast and crew, with Lebanese director Mir-Jean Bou Chaaya and Jordanian screenwriter Bassel Ghandour already signed up. The series, to be released in 2019 will focus on a group of Arab teens, who meet a jinn (also known as a genie) in the archaeological marvel that is Petra. The supernatural tale sees the boys’ “friendships and young romances tested when they set out to stop an even greater darkness that is threatening to destroy the world”, according to a statement. “It is very common in Middle East that people know someone who has a Jinn story, so it’s nice to take that and turn it into a fun and mysterious teen adventure that everyone can enjoy,” said writer Ghandour. Director Chaaya added that the series is “a great opportunity to portray Arab youth in a very unique way.” Netflix is “extremely excited to bring this story to a global audience, and to celebrate Arab youth and culture,” the company’s vice-president of International Original Series. 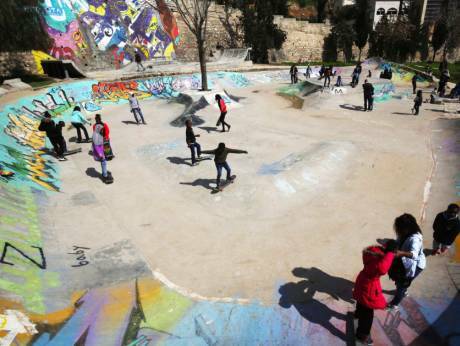 The “7 Hills Skate Park” in Amman, Jordan “has become a breath of fresh air for young refugees from Sudan, Somalia, Yemen, Iraq, Syria and Palestine,” said Mohammad Zakaria, one of the park managers. Skateboarding “is a difficult sport, which allows you to gain self-confidence and learn that falling is not the end of the world and that you have to try a second and third time to succeed,” he explained. Around 140 boys and girls take free classes every week, mostly run by foreign volunteers. Jordan hosts refugees from more than 40 countries, including over 650,000 people from Syria, according to the UNHCR. Newsweek reported that the world’s oldest tattoos showing figures have been discovered on the arms of two 5,000-year-old Egyptian mummies. The mummies were unearthed in the Egyptian desert near Gebelein, around 25 miles south of the city of Luxor. The naturally preserved remains of a man (left) and a woman (right) decorated with animals and symbols were acquired by London’s British Museum back in 1900. The woman’s tattoos are the oldest ever discovered on a female human body. S-shaped and linear markings adorn her upper arm and shoulder. Two horned creatures—thought to be a wild bull and a Barbary sheep—decorate the man’s upper arm. Researchers used infrared technology to uncover the markings after finding similar smudges on other remains. The Gebelein mummies are better preserved than earlier Egyptians because the corpses dried out naturally in their graves; this natural mummification process left their skin relatively intact.